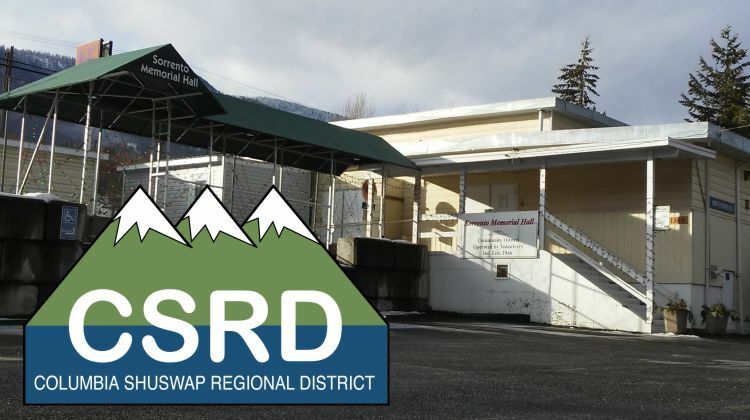 CSRD in partnership with NCWAG are hosting a community meeting on January 22, 2019 at 6:30 pm, held upstairs at Sorrento Memorial Hall. The purpose of the meeting is to raise awareness for problems occurring in the Sorrento/Notch Hill area due to changes in the Newsome Creek Watershed. Property damage, road washouts and water contamination have occurred in Sorrento and Notch Hill, putting residents at risk and increasing costs to run services. Currently homeowners below Highway 1 are experiencing rapid erosion of the creek’s gully walls, which is putting property and lives in danger. Funding has been secured to do an assessment for an emergency work plan. EMBC and CSRD have each contributed 50% of the funds so an engineer’s report can be completed as soon as possible. We’ll still need to fund the actual work, but this will allow us to move forward with the next step in the process. Sorrento and Notch Hill area residents are invited to find out more about the extent of the problem, and to explore ways to engage the Province to step up with practical help.